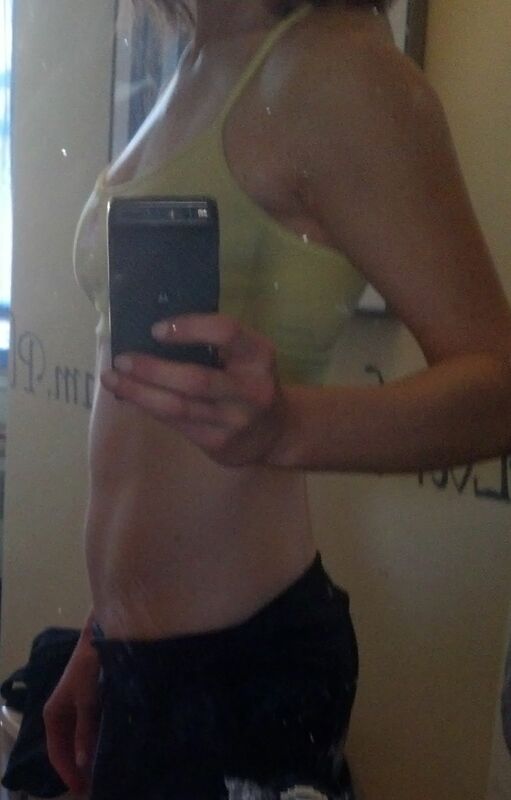 At the Starting Blocks: Week 1 Bulk | Go Figure Girl! This morning I took my initial set of measurements and stepped on the scale for the first time in a long while. During the warmer months, I’m usually about 5 pounds leaner with my legs being tighter and more defined; however, after the holidays, being sick for 2 weeks without working out, and being on creatine and increasing carbs for the past week, I’m a little soft in the lower body and abs. Regardless, this is the start – not the finish – and I’m looking to add size, so the weight gain and temporary discomfort are all part of the game. I had to look back on my post here to remind myself that this whole process has a beginning and an end. When I look back at my 2012 numbers, I had finished my bulk with close to the same measurements as above but with 10 more pounds. I’m hoping to add about 1″ back to my shoulders and arms during this bulk and keep my hip and thigh measurements relatively similar to where they are now, although gaining some size in those areas is inevitable. Below you can see the comparison of where I stand today at 145 pounds and were I was in 2012 at 150. 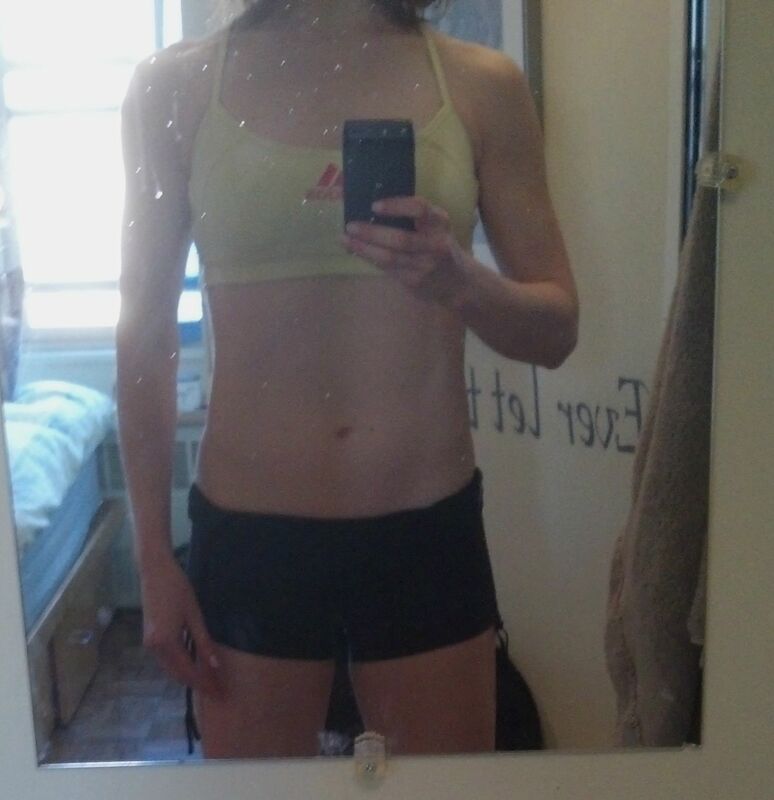 In the 2012 photo, I was about 3 weeks into the cutting phase after a 4 month bulk and was much fuller and rounder than I am now. Granted, I was posing and in heels in the photo from 2012 and am relaxed and in bare feet in the photo from today, but I was certainly bigger. Right now I’m rocking the lean, runner / dancer look, which is fine, but I definitely want to push to balance out my muscular lower half with a more rounded, full upper body. This past week I executed the 45 carb /40 protein /15 fat breakdown that I referenced in my previous post; however, my mood and libedo plummeted. I was quickly reminded how flat and emotionless I felt during my 20 week cutting phase before my competition over a year ago and immediately knew that I needed to shift my macros – bulking should be fun! I did some additional research and found this great article on Simply Shredded, one of my favorite sites. I highly recommend reading this if you’re in – or starting – your building phase. I discovered that the cause of what I was experiencing was due to too drastic a reduction of my dietary fats. Fats are responsible for normal hormone function (including testosterone) and if they are reduced too much you risk experiencing the effects like those above and you can inhibit your body from reaching an anabolic state. I have stuck to my 3 day / week split, although I truly miss being in the gym 6 days a week. I’m focusing on getting plenty of rest on my off days and trying to get at least 8 hours of sleep a night (I was getting about 6). I’m not sure if it’s because I have been sick recently and my body is still recovering, or if it’s because my lifts are more complete, heavier and more taxing, but I have definitely felt shot after each gym session this week. I’m working out each body part during each workout and am doing 5 sets of 10 reps per exercise, failing on the last 1 or 2 sets. I’m focusing on lifting heavy with excellent form. While I was hell-bent on maintaining at least one program for a solid month, I have been wanting to challenge myself mentally and physically and so on Monday (1/6), I’m starting CrossFit. Based on the fact that I have been doing regular bodybuilding lifts for over two years, this change to more olympic, dynamic movements will surely shock my system and hopefully fuel growth. I’m extremely curious to see how my body reacts and, if needed, I’ll shift my calories and regular lifting sessions (if I still need them) accordingly. This entry was posted on January 4, 2014 by belcbody. It was filed under Uncategorized and was tagged with anabolic, bodybuilding, building, bulk, bulking, carb, carbohydrate, CrossFit, cutting, diet, dynamic, exercise, fat, figure, figure competition, libedo, macro, olympic, progress, progress pics, protein, shoulders, shredded, Simply Shredded, testosterone.